The far left’s effort to remake America according to its politically correct fantasies continues unabated — even as the U.S. economy groans under the weight of previous failed efforts (and even as supporters of the latest social experiments bemoan prior failures in central planning). Once again everything is ostensibly geared toward addressing alleged discrimination so as to secure “upward mobility” for impoverished minorities. Couldn’t afford the American Dream of owning a home? Not to worry. After a bogus government study concocted the myth of “discriminatory lending,” trillions of dollars in affordable housing loans magically materialized (along with new government mandates dictating who should receive them). This race-based market manipulation artificially inflated the housing bubble — the puncture of which greatly contributed to the Great Recession. Couldn’t afford to go to college? Once again, government was ready to “help” — doling out billions of dollars worth of college loans to minority recipients (often for matriculation at government-subsidized institutions). Like the upside-down mortgages generated by the housing bubble, though, many of the sheepskins obtained via this taxpayer-subsidized scam weren’t worth the debt incurred to obtain them. Of course, President Barack Obama — confusing equality of outcomes for equality of opportunity — decreed “no one should go broke because they choose to go to college.” In other words, when — not if — the higher education bubble pops, taxpayers will find themselves on the hook for yet another economically-debilitating bailout. While we await the fallout from this latest misadventure in manipulated markets, Obama’s bureaucrats are busy remodeling the current disaster — playing the race card so as to apply window dressing to the drab outlines of the “New Normal.” Specifically, Obama’s Department of Housing and Urban Development (HUD) is imposing new regulations aimed at “diversifying” America’s neighborhoods — requiring cities to identify and root out “segregation” or risk losing federal funding. That’s not all. 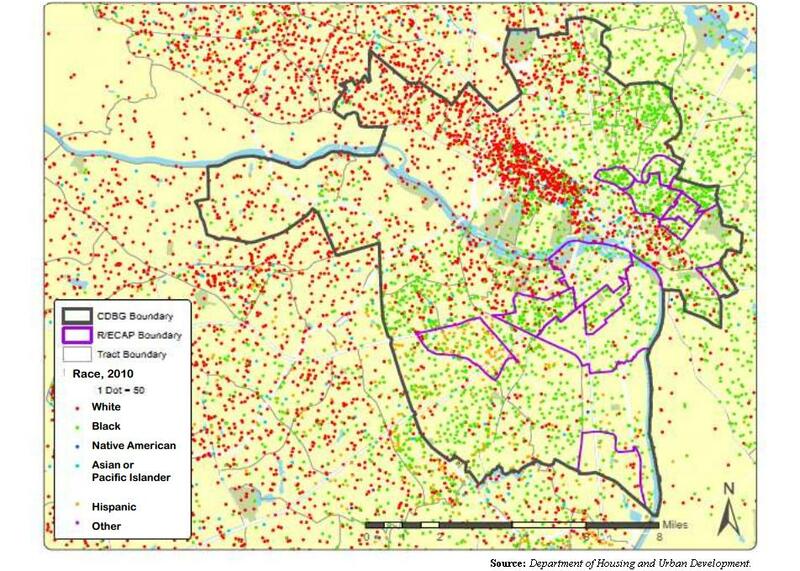 These reports — which must be submitted every five years — would also force cities to “track patterns in poverty and minority concentration, as well as ‘community access’ to transportation, good schools and jobs,” according to FOX News. Sound like politically-correct nanny statism to you? It should — because it is. Ironically, one of the staunchest supporters of the new rule — Margery Turner of the uber-liberal Urban Institute — acknowledged to The Hill how “decades of public policies” had contributed to “deeply segregated and unequal neighborhoods.” Of course, Turner still clings to the classic liberal fallacy: That more taxpayer money and more government control will somehow right these wrongs. “American citizens and communities should be free to choose where they would like to live and not be subject to federal neighborhood engineering at the behest of an overreaching federal government,” U.S. Rep. Paul Gosar of Arizona told The Hill. Gosar successfully included an amendment to the House’s HUD spending plan to block future funding for this rule — although given the Obama administration’s contempt for other branches of government (to say nothing of the Constitution), Gosar’s amendment may not be enough. More troubling than the HUD rule are the crass assumptions of inferiority, intolerance, and interventionism underlying it. First, Obama’s administration is saying it doesn’t believe minorities are capable of living in upscale neighborhoods without government assistance — despite the fact that many already do. Second, Obama’s administration is saying White Americans are universally hostile toward the presence of minorities in their neighborhoods — and will only accept them if compelled to do so. Finally, on the basis of these false generalizations, government is giving itself the right to meddle in one of our most basic freedoms — where we choose to live. Such assumptions are insulting to hard-working, liberty-loving Americans — regardless of their race. And as failed social experiments of the past have proven, they will serve only to limit “upward mobility” — not advance it.